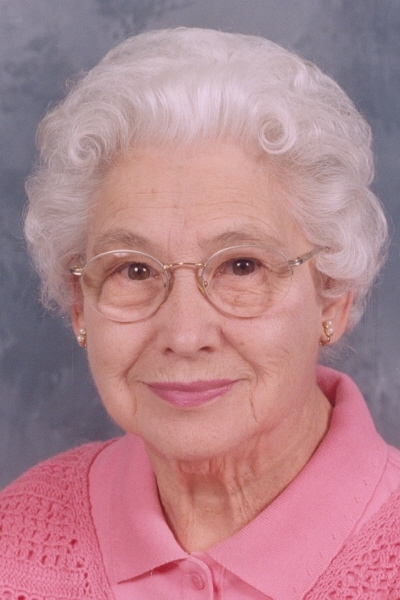 Evelyn A. Hansen, 99, formerly of Sheffield a resident of Courtyard Estates, Galva died there on Tuesday, October 9, 2018. Funeral services will be held at 11:00 a.m., on Monday, October 15th at Stackhouse-Moore Funeral & Cremation Services, Sheffield. Burial will be in Sheffield Cemetery. Rev. Jerry Rafalko will officiate. Visitation will be 1 hour prior to service on Monday at the funeral home. Memorials may be made to Sheffield Rescue Unit or Western Bureau County Food Pantry. Evelyn Newman was born on October 3, 1919 in Annawan, IL the daughter of Tom and Edith (Wells) Newman. She attended school in Annawan and Manlius. On August 27, 1961 she married Delmar “Doc” Hansen in Sheffield. He died on September 27, 1987. Evelyn had begun working at Village Café, Sheffield in 1945. From 1952 to 1966 she worked at National Dry Cleaner, Sheffield. She then worked at Stacy’s Cleaners, Kewanee until 1970. Evelyn had worked at Prairie View Nursing Home in the laundry until her retirement in 1984. She enjoyed gardening and flowers. Evelyn is survived by nieces and nephews, Roger (Judy) Newman, Leslie (Betty) Newman, Carol (Woody) Partain, Mary Daniel-Morgan, Michael (Lynn) VanHyfte, Tina (Ed Kutz) Behnke, and Ken Behnke and several great and great great nieces and nephews. She was preceded in death by her parents, husband, brother, Arthur, sisters Ruth VanHyfte and Edith Behnke and a niece, Judith Ellis.